Plants have stories to tell. Their stories color and enrich our planet and elicit poetry in humans. Plants caution us, warn us, teach us, alarm us, feed us, comfort us, humor us, heal us and inform us of the earth’s changes and transformations. They mirror to us who we are and what kind of custodians we are to our homes, communities and land. Plant stories have enthralled me for as long as I can remember and I am privileged to live a life where I can search them out and share them. 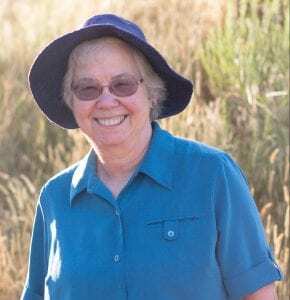 As a former Professor of Biological Sciences at the University of Nebraska-Lincoln, my specialties range from ant-plant interactions to grass genetics to studies of prairie plants. Retired, I now pursue travel and history, endlessly fascinated by different places and times. And, wherever I go, I am irresistibly drawn to plants. On this website and on my blog you can gain a deeper enjoyment of the natural world and discover information about plants that will delight and enchant you. In February 2017 my blog was chosen one of 50 Best Blogs for Botanists and Plant Scientists by feedspot.com. Look Twice. 15 Plants to Notice at Lake McConaughy. by Kathy Keeler, A Wandering Botanist. 2018. Folklore and natural history of very common plants to enhance your vacation at the Lake. Available from the author, publisher and on Amazon.com. Curious Stories of Familiar Garden Plants by Kathy Keeler, A Wandering Botanist. 2016. Things you might not know about ordinary garden plants.Available from the author and on Amazon.com . I am happy to answer your questions, talk about plant uses, history or geography, and lead walking tours of interesting plants. Contact Me to find out out more about enriching your next event, meeting, tour or cruise with an adventure into the natural wonders of the plant world. P.S. 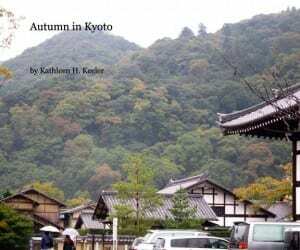 As a special gift to my readers, I am giving a copy of my beautiful travel e-book: Autumn in Kyoto.